You must have a valid Animal Use Protocol to place orders for animals in keeping with federal guidelines and provincial legislation. Contact DCM to obtain the Animal Request Form and submit to DCM to place your orders. The deadline for Canadian suppliers is 11:00 am Thursday for delivery the following week. The deadline for American suppliers is 11:00 am Wednesday for delivery the following week. All orders are subject to availability of the species and strain requested. All animal orders must be within the specifications and limitations of an approved animal use protocol. 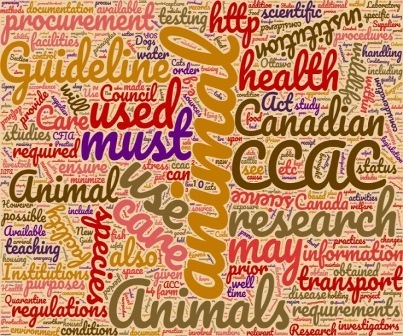 Before animals are acquired or used, all procedures must be subject to ethical review in accordance with federal guidelines (Canadian Council on Animal Care) and provincial legislation (Animals for Research Act- OMAFRA) on animal care and use. No procedures can be undertaken without prior review. Ethical review ensures that all animal use meets federal guidelines, provincial statutes, University of Toronto guidelines, and best practices reflected in standard operating procedures.